Las Vegas Chiropractic Success Story #2 – Video Series Episode 4. 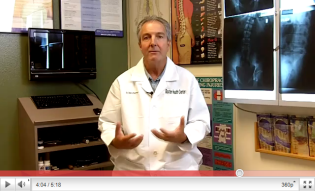 Watch this Health Expert Video Series Episode #4 where Las Vegas Chiropractor Dr. Mark Baxter discusses another one of his many chiropractic patient success stories. This one is of a 76 year old woman who suffered with an ailment for decades and how Dr. Baxter was able to identify the problem other doctors didn’t.